The School of Nursing is proud to be the home of some of the fastest growing programs in the College of Health Sciences and Professions. We offer innovative and accessible programs including online RN to BSN and online MSN degrees as well as traditional on-campus BSN programs on the campuses of Athens, Chillicothe, Southern, and Zanesville. If clicking on the link does not immediately open the registration page, please copy and paste the above link into a new browser. Registration deadline is April 25, 2019. 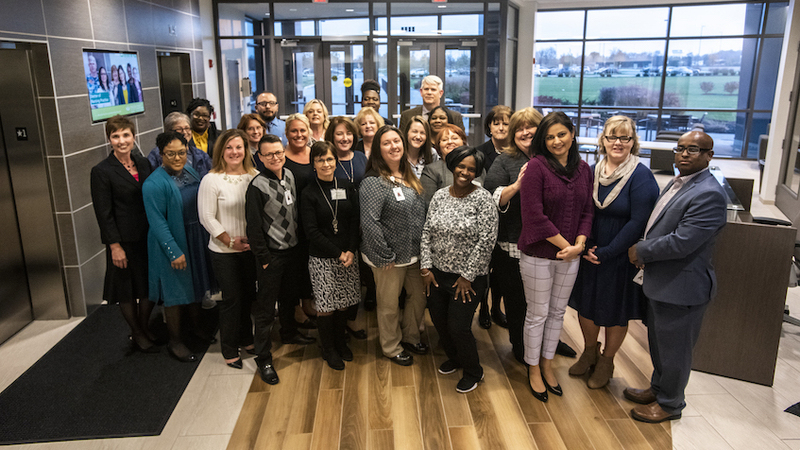 Ohio University School of Nursing Evidence-Based Practice and Nursing Research Conference "Serving the Underserved"
Ohio University School of Nursing has partnered with LiquidCompass to provide a job search resource to our undergraduate and graduate nursing students. Access the website and search for job openings. As national statistics continue to show a shortage of nurses and predict the need for nurses at an all-time high, Ohio University’s College of Health Sciences and Professions and School of Nursing have expanded the Online Registered Nurse to Bachelor of Science in Nursing program to 13 new states across the U.S., bringing the program’s presence to nearly half the country.